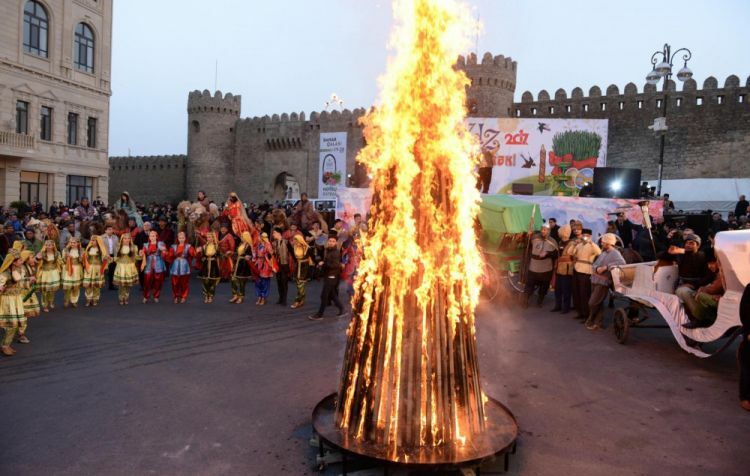 Azerbaijan marks Earth Tuesday the last day before Novruz. This Tuesday is known among people as 'ilaxir chershenbe'. It differs from other Tuesdays with special traditions of the last Tuesday. The ceremony that continues all day long on the last Tuesday proceeds with evening festivities. People light rue, make bonfires, jump over bonfires, overhear the doors and perform other traditional activities. On this day, everyone, regardless of their gender, must jump over the bonfire for the flame to take away all the problems.